Commercial carpet cleaning should be a regular maintenance expense for your Tampa FL based business. When you’re running a business it can be difficult to maintain a professional environment. In a commercial setting most business pay for a cleaning crew or service that comes in at the end of the business day to clean. Most companies provide basic cleaning services like vacuuming and emptying the waste cans. These types of services are crucial to keeping a work place healthy and clean. Often carpets, upholstery, tile, and cubicles go uncleaned for extended periods of time. Accumulated soil and dirt can affect the health of your employees and your business. 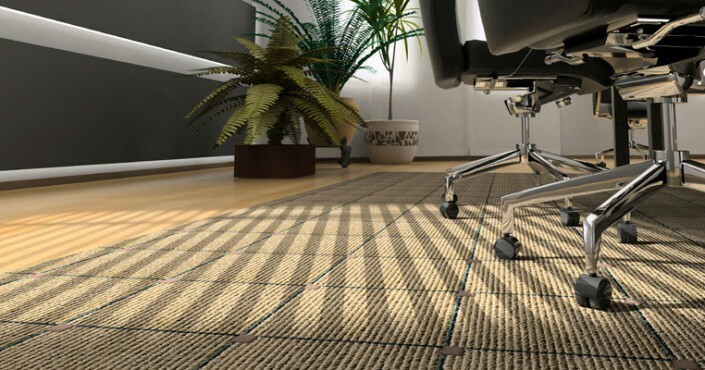 The cleanliness of your carpets can dramatically improve the air quality of your work environment. Commercial carpet cleaning should be put on a regular schedule to maintain a healthy work environment. The biggest investment in your company are your employees, and keeping them healthy is always a priority. Not cleaning your carpets can allow bacteria and viruses to flourish in your business, and the sick days can take a toll on productivity. A regular carpet cleaning regiment can help ensure a better safer place to work. Chem-Dry of Tampa FL understands how to work with your business to ensure a clean work place with minimal to no down time for your work force. Chem-Dry’s patented process allows for amazingly fast dry times while providing a deep down clean that really gets the dirt out. Provide a healthy work environment for your employees by calling Chem-Dry of Tampa FL today. For commercial carpet cleaning call today.